VANCOUVER — The wait has started for the defending state champion golfer from Mountain View. 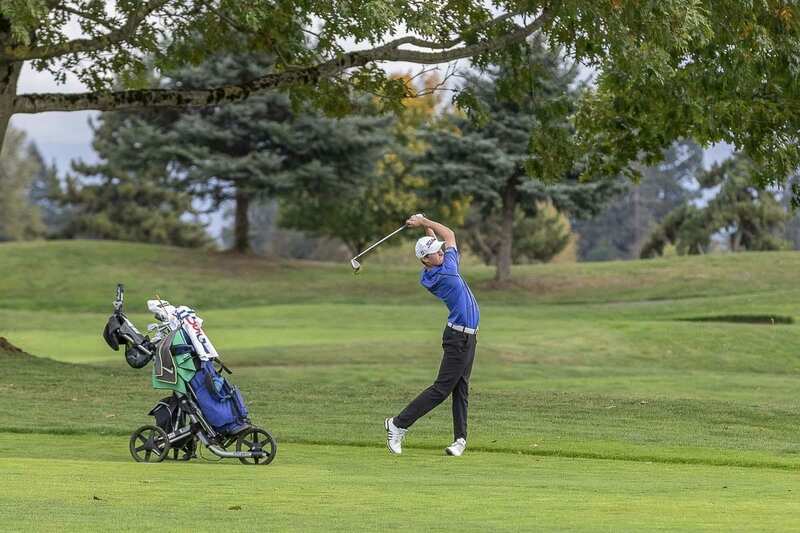 The wait has started for Graham Moody, for his teammates, and for the rest of Southwest Washington’s high school boys golfers who have qualified for the postseason. After all, the postseason really begins in the spring. This is not new of course. Golf (and tennis) have had split seasons for years. What is new is that the top golfers will have to go to bi-district in the spring in order to qualify for state. Oh, and there will be a true team competition at state, with stroke play for full squads. In the past, the top placers at district tournaments would bypass bi-district and go directly to state. And team titles were based on a points system at state. Those are some big changes for state golf by the Washington Interscholastic Activities Association. One thing that will not change, at least for golfers from this region, is dealing with the long layoff between the fall regular season and spring tournaments. Moody knows how to deal with it. Now a sophomore at Mountain View, he finished second at the district tournament in the fall of 2017, then won the state championship in the spring of 2018. “Looking back, that was definitely the most prepared I’d been for a tournament,” Moody said. His advice would be to stay sharp. Don’t let the days turn into weeks and then into months without accomplishing goals associated with the game. Mountain View coach Jim Peterson would find chapters in books that he found motivating and would share with his golfers. Moody said he took it upon himself to read more on improving his “mental” game. Moody also got on the course as much as he could, even in the wet, cold winter months. All of his preparation came into play in the final round at state when Moody four-putted a green. “It could have been, ‘I just blew my chance,’ or I had another opportunity to go out and make some birdies and finish strong,” Moody said. The next hole, he had a long par putt. He drained it. From there, it was back to his excellent play. That four-putt was in the past, finishing strong enough to win the championship. He had accomplished more than a state title. He conquered a school calendar year. 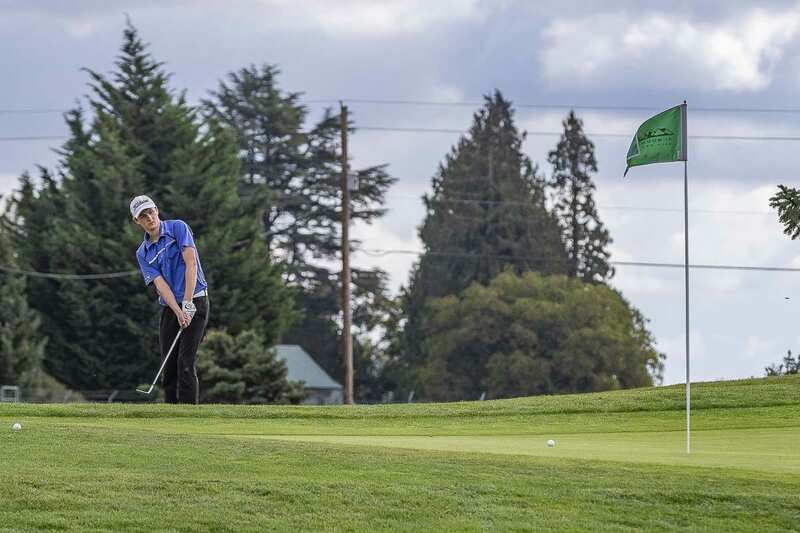 A few regions in Washington split up golf seasons between boys and girls because there are not enough courses for both seasons at the same time. So when a fall golfer wins a state title in the spring, it means there was quite a lot of focus for quite a long time. That is easier, naturally, when one loves the game. Moody started playing when he was around 6 years old. A few years later, he is the top Class 3A golfer in the WIAA. That could bring some pressure, too, but Moody says he is not consumed by having to do this or do that. He knows in golf just about anything can happen. He wants to defend his title, but there are no guarantees. All he knows for sure is he will be prepared again. He will be focused. That’s his way. He expects the same from his teammates. 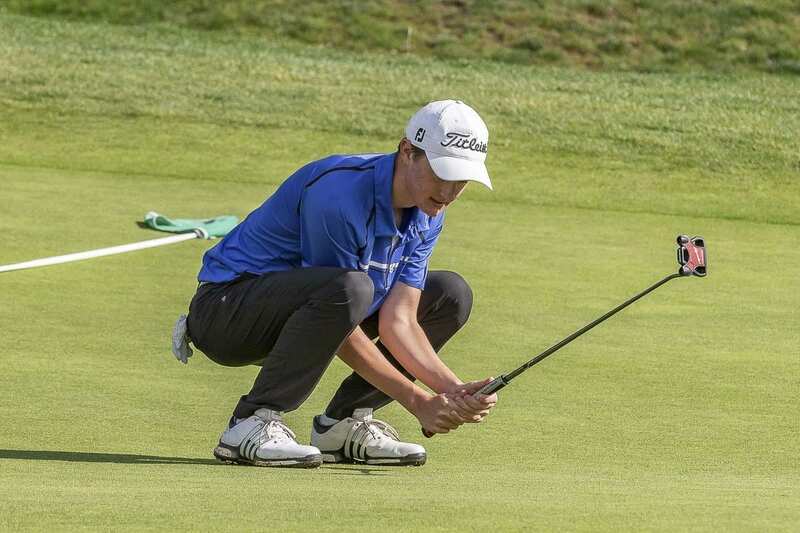 For Moody, that would make for a perfect ending to the 2018-19 boys golf season, an individual title to go with a team title. It might seem like Moody and the Thunder have all the time in the world but spring will be here before too long, and the best golfers in the state will be getting together again. How they handle November, January and December could have a big effect on how they play in May. Moody understands completely. After all, he competed last fall, won the “battle” in the winter months, then ruled in the spring.